Back in late November 2011, I thought to myself that this wasn’t a very good year for movies. At that time, I had given out only a few four-star ratings and the notion of compiling an end-of-year “best” list seemed impossible. A month later, the year overall hasn’t improved much, but, in the usual December push by studios to make awards consideration deadlines, my choices have increased considerably. As a result, choosing entries for the Top 10 Films of 2011 has become a thorny prospect, with a number of my favorite films of the year reduced to “honorable mentions”. Several cuts were quite painful to exclude. For better or worse, here is this year’s Top 10. There’s a particular audience for which Super 8 just clicks in a very special way. 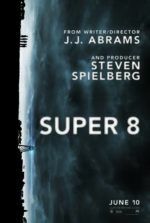 J.J. Abrams pays homage to his executive producer Steven Spielberg and several 1980s cult films (The Thing, Scanners, etc. ), and in the process recreates that now nostalgic thrill of classics like Close Encounters of the Third Kind, E.T. : The Extra-Terrestrial, and Jaws. Those who are “in” on his filmic references realize, however, that Abrams’ film also stands on its own as a superb piece of entertainment. More than that, it’s one of many films in 2011 about the love of film itself, and more than any other this one’s about the pleasures of film-making. Even better, the story’s inspirations are just as fascinating as the plot: Like the teens in the story, Abrams and his friends made a short film when they were young, entered it into a contest, and their short was chosen as the winner by Spielberg. Here, Abrams pays recognition to the man who reinforced his cinematic dreams and in turn delivers a worthy adventure. Michael Fassbender had an unparalleled breakout year with several nuanced, intense performances. In addition to redefining his respective, previously-established characters in Jane Eyre and X-Men: First Class, Fassbender gave a convincing rendition of Carl Jung in Cronenberg’s A Dangerous Method. But in director Steve McQueen’s Shame, Fassbender is a one-man show in his finest performance yet—yes, even better than his turn in McQueen’s Hunger—as he probes the depths of his character’s solitude and turmoil from satyriasis. Though underseen by mass audiences due to the NC-17 rating, the film’s lack of sensuality (in spite of abundant sexual content) will overcome those hesitant about the material. What lasts is a deeply affecting study found in Fassbender’s performance, one that, in a way, leaves the outcome up to the viewer. But even more impressive is how well McQueen’s direction and Fassbender’s performance are balanced, instead of the performance overcoming the film itself—as films showcasing a powerhouse performance often do. In David Cronenberg’s A Dangerous Method, the filmmaker’s oft-explored theme of the relationship between the mind and body finds an intriguing historical context with the birth of psychoanalysis. The professional and personal boundaries of Michael Fassbender’s Carl Jung and Viggo Mortensen’s Sigmund Freud are drawn when a disturbed patient (Keira Knightley, terrific) engages in a torrid affair with the former. For the first time in his career, Cronenberg’s investigation of the mind-body dichotomy doesn’t rely on violence or body-distorting metaphors, but rather dialogue and characters made three-dimensional by a trio of remarkable performances. And despite the decided lack of genre symbolism—which is even prevalent in his more recent “mainstream” works A History of Violence and Eastern Promises—Cronenberg’s film becomes a sharp, expertly composed entry in the filmmaker’s increasingly diverse career, and the most intellectually stimulating film of 2011. Woody Allen’s best film in a long time lovingly embraces not only Paris but the power of art within his breezy comedic fantasy. 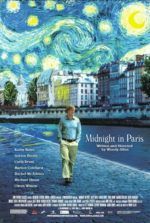 Midnight in Paris may ultimately contain an argument for the here and now, but its lighthearted voyages into the past with idols of a bygone era contain a contagious sense of whimsy. Owen Wilson leads one of Allen’s distinctive, terrifically acted all-star casts in a light romance that, oddly enough, involves time-travel, art and literary references galore, and enough laughs to leave you smiling long afterward. Although without a doubt similar to The Purple Rose of Cairo, Allen’s superior script here identifies that the reality of our dreamy visions of the past are best left to our imagination, and in turn delivers an adoring testament to the power of nostalgia. Steven Soderbergh’s fascinating, multi-tiered investigation of a global viral outbreak uses incredible details and convincing drama to instill a lasting case of the heebie-jeebies. 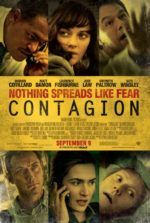 Not only does Contagion leave you with a strong desire to sterilize, it outlines a believable sequence of events following a widespread epidemic of infection disease—a succession made all the more suspenseful by Cliff Martinez’s driving electronic score and the way Soderbergh lingers on an infected door handle. After watching the film again on Blu-ray, the decision to include it in this year’s Top Ten became an effortless one. Behind Matt Damon, Jude Law, Kate Winslet, Marion Cotillard, Laurence Fishburne, Gwyneth Paltrow, Jennifer Ehle, John Hawkes, Bryan Cranston, and Elliot Gould is a story that gets under the skin of even the most paranoia-resistant viewer. Soderbergh’s elegant, economic ensemble approach outshines even his work on the similarly-structured Traffic in its scope and the strength of its characters. What’s so incredible is how, even with his vast array of stars and locales, Soderbergh’s frightening, fact-based film resists customary Hollywood thriller conventions to become something uniquely compelling and unnerving. 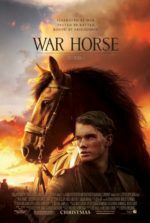 With War Horse, the viewer must allow their inner cynic to take a rest and bask in Steven Spielberg’s profound sentimentality; only then can you see how he channels classical cinema in the keenest ways, achieving what amounts to near-perfection in the realm of Gone with the Wind and the films of John Ford. Spielberg’s striking WWI picture shows terrifying battle scenes and wartime atrocities through the beyond-borders perspective of a battle horse, strangely enough the most human character onscreen. Shot with no end of technical craftsmanship, Spielberg captures unforgettable imagery in an epic story that finds a balance between his Saving Private Ryan and E.T. : The Extra-Terrestrial styles. From start to finish, Spielberg pulls your heartstrings in all the right directions and, most satisfyingly, leaves you with that feeling of completeness so recognizable from the Golden Age of cinema. For those who say ‘they don’t make ‘em like they used to’, here’s your proof that, on rare occasion, they sometimes still do. 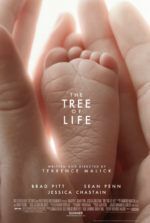 A film that roused as many boos as cheers at Cannes, but then went on to win the Palme D’or, The Tree of Life will not resonate with commercial audiences, as many moviehouses discovered this year. Frequent walk-outs and refund-demands followed the film’s limited release, despite widespread critical warnings that The Thin Red Line director Terrence Malick had created less a narrative than a piece of visual poetry. Writhing with philosophy and existential questions, Malick will either affirm your life or send you probing further into the meaning of existence with his cinematic homily. Brad Pitt and Jessica Chastain (whose breakout year in 2011 was almost as prolific and impressive as Michael Fassbender’s) star as a couple in 1950s Texas, their family and the rise of their eldest child set against the creation of the universe and all life on Earth. Trying to explain the film in any intellectual sense is impossible; it’s an experience you have to feel. And there’s much to feel here, as well as admire. This could be Malick’s most singularly gorgeous film, complete with celestial bodies, dreamlike imagery, and rustic pastorals that will awaken the viewer—whether they understand what they’re watching or not. Though 2011’s The Adventures of Tintin featured the best-yet demonstration of how well motion-capture technology can be utilized to enhance the cartoon aspects of an animated film, while at the same time demonstrating the method’s capacity for realism, Gore Verbinski’s existentialist Western adventure Rango did something wholly different and inspired, which the filmmakers call “emotion capture”. By shooting the actors (Johnny Depp, Isla Fischer, Ned Beatty, Bill Nighy, et al.) acting out their performances, instead of just standing in a booth and lending their voice talents, Verbinski captures an exceptionally alive cast injecting their lifeforce into colorful, eccentric, jaw-droppingly animated characters. But beyond the animation, the story—both about the nature of storytelling and a heartfelt homage to Western filmmaking—provide an incredible degree of sophistication. Part Western genre entertainment, part breakthrough animation, part existential exploration (yes, really! 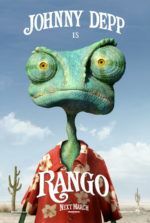 ), I loved every minute of Rango. It tests the limits of animation and finds them to be, indeed, quite immeasurable. 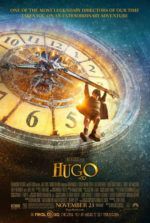 Martin Scorsese’s most uncharacteristic, most commercial, yet most personal film in years is Hugo, at first glance a family picture about a boy looking to uncover a mystery in 1930s Paris. What emerges through the course of the film is a love letter to Silent Era cinema, yet also a testament to the importance of film preservation. Scorsese’s personal stamp as a cinephile fuels this lovely and amazing adventure so ripe with pleasant characters and a mystery whose destination rewards the viewer with knowledge and wonder for the movies. In linking modern methods of filmmaking (expert CGI, clever use of 3D, and eye-popping production design) with the ways of pioneers like George Méliès, Scorsese creates vicarious interest in early silents in those that might otherwise not consider watching such films. In turn, he links the old and new together on and offscreen by creating something film fanatics of any age will adore, and through a story that will mesmerize everyone else through its delight in the power of cinema. 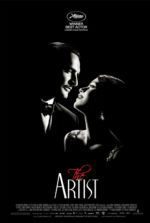 While other films in 2011 profess their love for cinema through homage, stylistic reference, or informative calls for preservation, The Artist boasts its affections through expression. Like Scorsese does with Hugo, director Michel Hazanavicius wants to disprove any notion that silent films are obsolete or have somehow lost their luster in the last 100 years. But instead of telling us why silent films are great, he shows us by creating one. This French production, daringly shot in black-and-white and using almost no dialogue except on intertitles, the film exhibits why the larger-than-life acting styles and formal techniques from yesteryear are still effective today, if not more so. Performers Jean Dujardin and Bérénice Bejo show incredible range here, as they’re able to communicate so much without words; they both deserve Oscars, as does Hazanavicius for conceiving this astonishing creation. With components of melodrama, screwball comedy, and film history packed into one singularly joyous package, there’s more emotion and cinematic sensation to be had from this film than any other in 2011.